Thanks to Maxell s exclusive Multi-Orientation Technology and advanced dispersion systems, their high output Ceramic Armor Metal Particles reach their full energy potential, improving the tape s C/N ratio a full 2dB more than our popular BETACAM SP tape. In addition, the Particles tough Ceramic Armor coating ensures that output stays high because it protects against energy-dissipating heat, oxidation and corrosion. The combination of Ceramic Armor Metal Particles and Maxell s special high strength binder makes a major contribution to increasing the tape s rigidity a factor that maximizes tape durability in demanding playback modes such as shuttle and still as well as improving compatibility with archiving and post-archival playback. Long-term reliability is raised even higher by the videocassette s dust, heat and shock-resistant high electro-conductivity shell. Advanced filler dispersion technology, used for Maxell s D-2 digital videocassette, keeps the head surface clean. 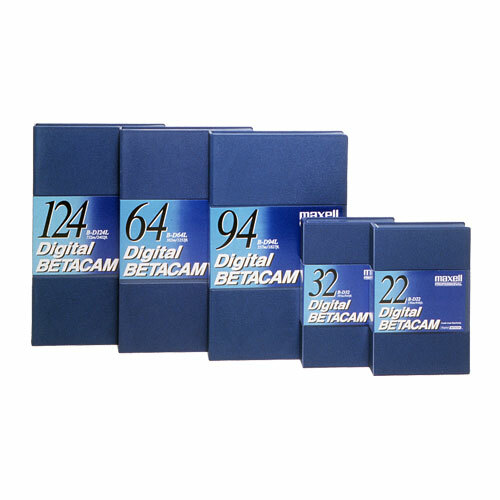 The back-coating used in Maxell s Digital BETACAM tape has been carefully designed to optimize smooth tape travel. What s more, Maxell s patented SW (Smooth Winding) reel makes a major contribution to reducing tape degradation because it delivers unmatched packing of the tape, especially in high-speed shuttle modes.